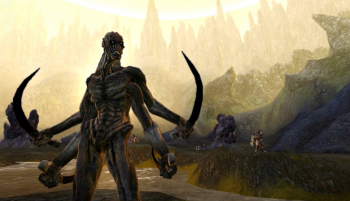 Funcom wants you back, baby, and it's willing to change. Well, not really, but it'll reactivate your Age of Conan account and give you bonus XP. Funcom is celebrating Age of Conan's third birthday, and it wants you to take part in it. Even if you're no longer an active player, Funcom's OK with that. The developer has revealed that it's got a ton of goodies for players to claim. Funcom revealed that it's reactivated all the inactive accounts in the game through the end of May. On top of that, active subscriptions have access to some free potions that will boost PvE, PVP, and alternate advancement XP. These potions are also available until the end of May. On top of all this, Funcom has a sweepstakes for the game's birthday celebration. Prizes include free game, original in-game content, and the "Rise of the Godslayer" expansion pack. So, if you've been debating getting back into Age of Conan, maybe this is a good time to do so ... seeing as how it's free and all.